A sweet and lavish fine dark chocolate by Vivani. It has a smooth marzipan filling and just the right amount of Amaretto. May contain components of other shell fruits, gluten and milk. Contains alcohol – please keep away from children. Raw cane sugar*, cocoa mass*, honey marzipan* 15 % (almonds*, honey*), 2,5 % Amaretto* (60 %vol), glucose syrup*, cocoa butter*, butterfat*, palm fat* (RSPO-cert.). 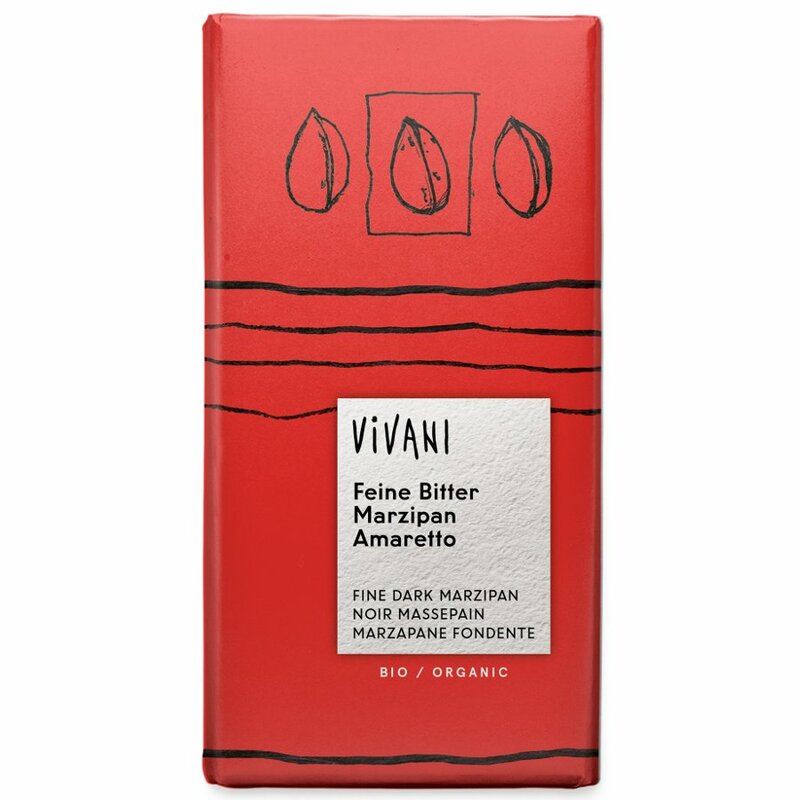 The Vivani Organic Dark Chocolate Marzipan & Amaretto - 100g product ethics are indicated below. To learn more about these product ethics and to see related products, follow the links below. What more can you say - great combination! 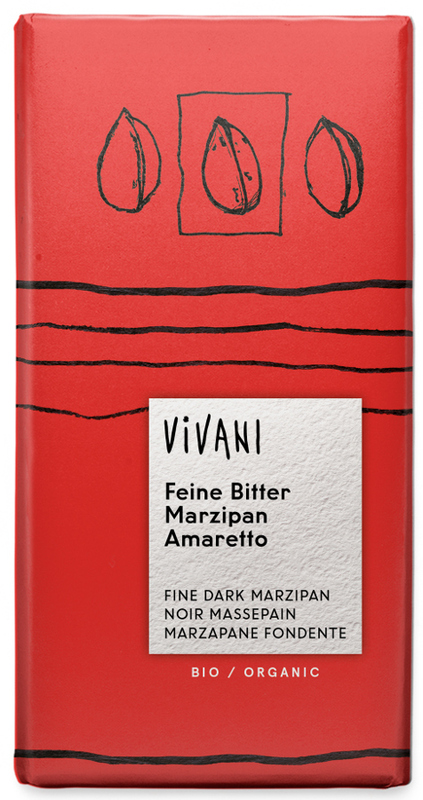 There are currently no questions to display about Vivani Organic Dark Chocolate Marzipan & Amaretto - 100g.